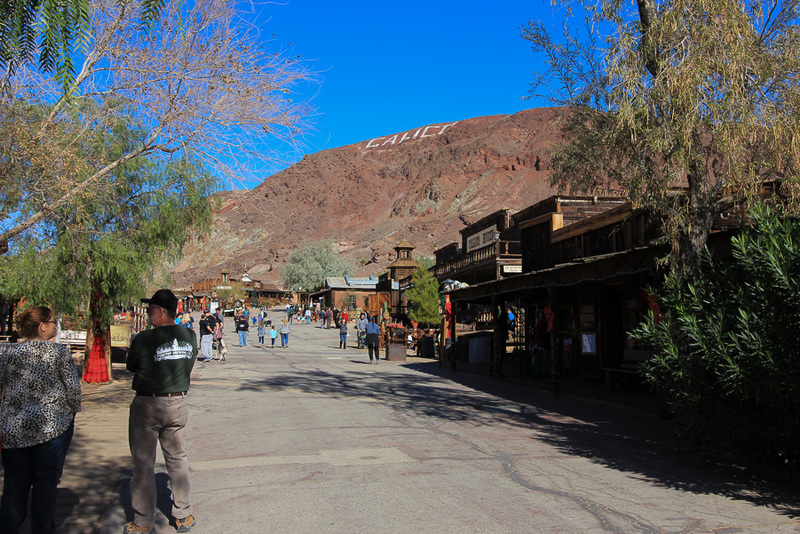 November 26, 2016 - We drove north into the Mojave Desert today to visit the old mining town of Calico. 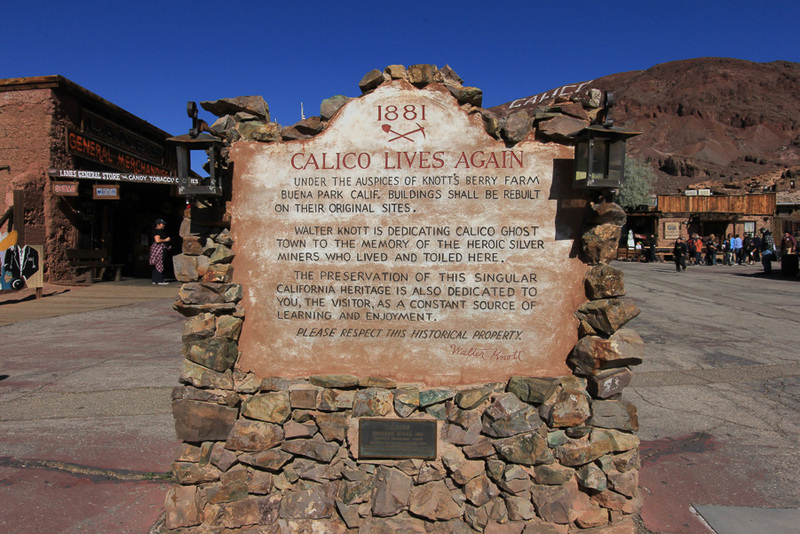 Calico has been in existence since 1881 when four prospectors discovered the Silver King mine, which was California's largest silver producer in the mid-1880's. 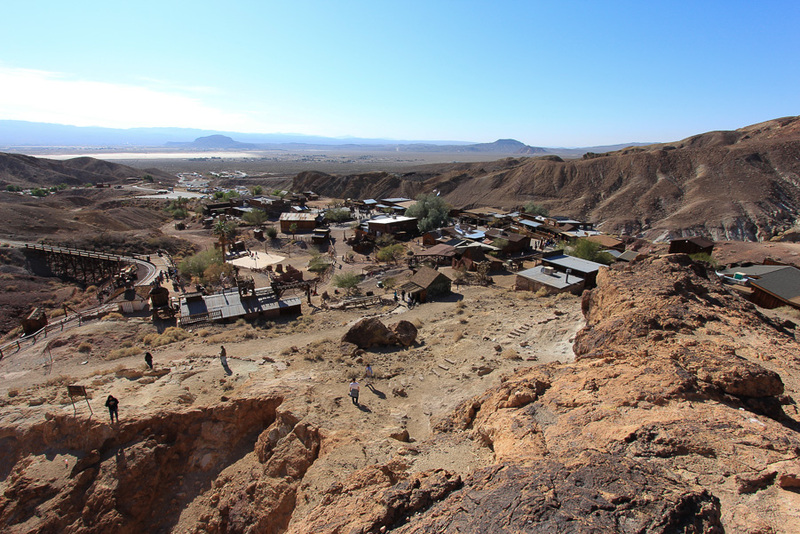 With its 500 mines, Calico produced over $20 million in silver ore over a 12-year span. 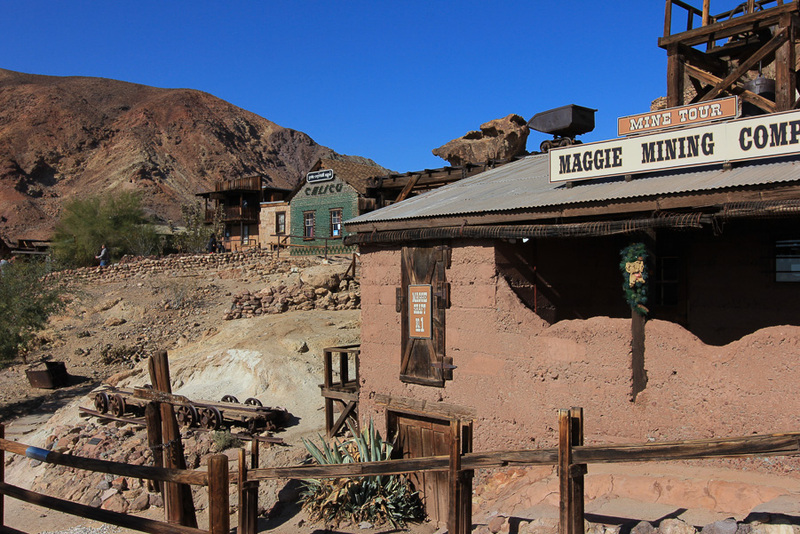 When silver lost its value in the mid-1890's, Calico lost its population. 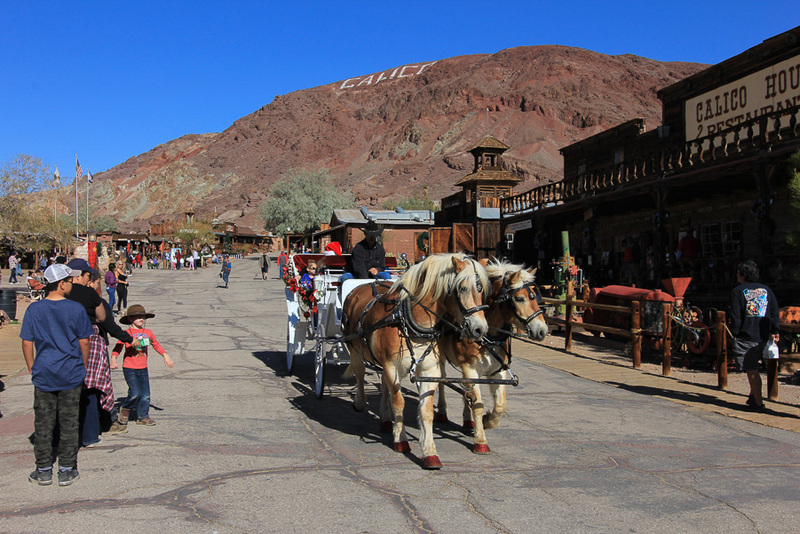 The miners packed up, loaded their mules and moved away abandoning the town that once gave them a good living. 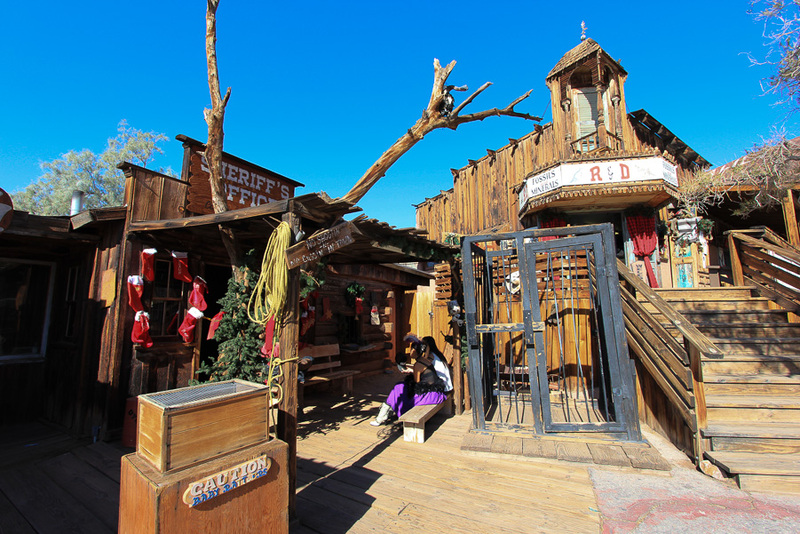 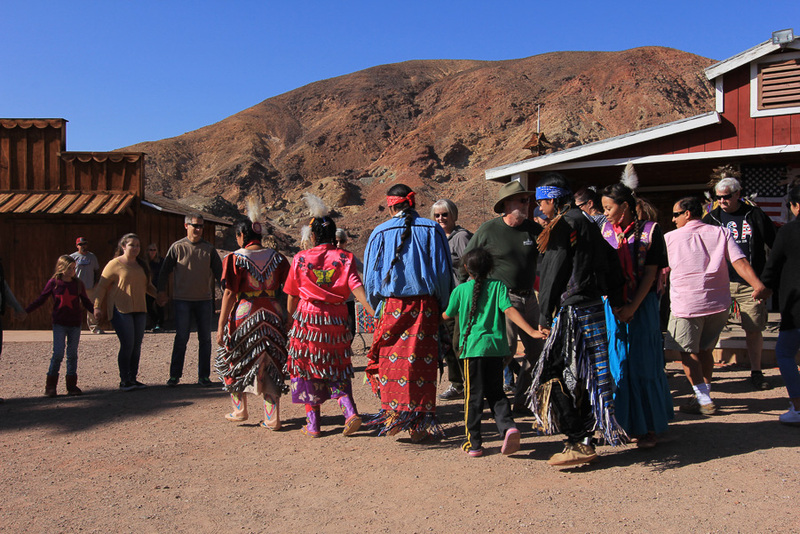 It became a "ghost town," and is now open to the public as Calico Ghost Town, a San Bernardino County regional park. 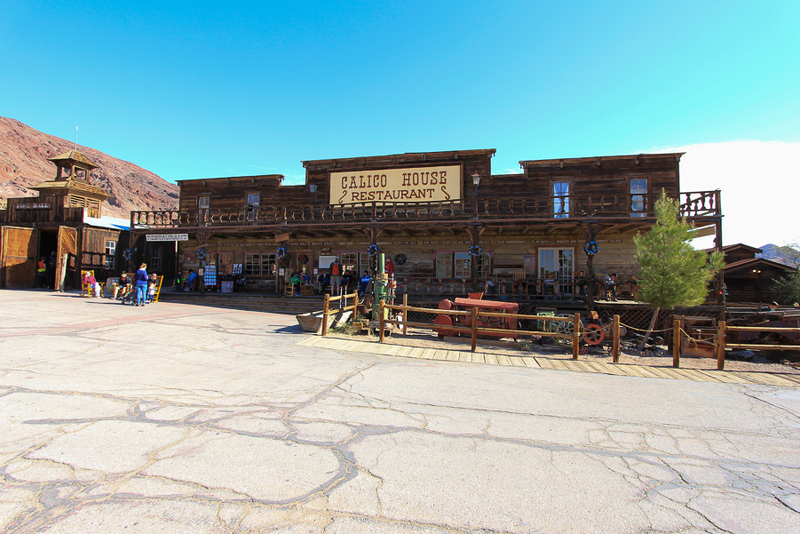 Walter Knott, who founded Knott's Berry Farm in 1920, purchased Calico in the 1950's and restored the original buildings to look as they did in the 1880's. 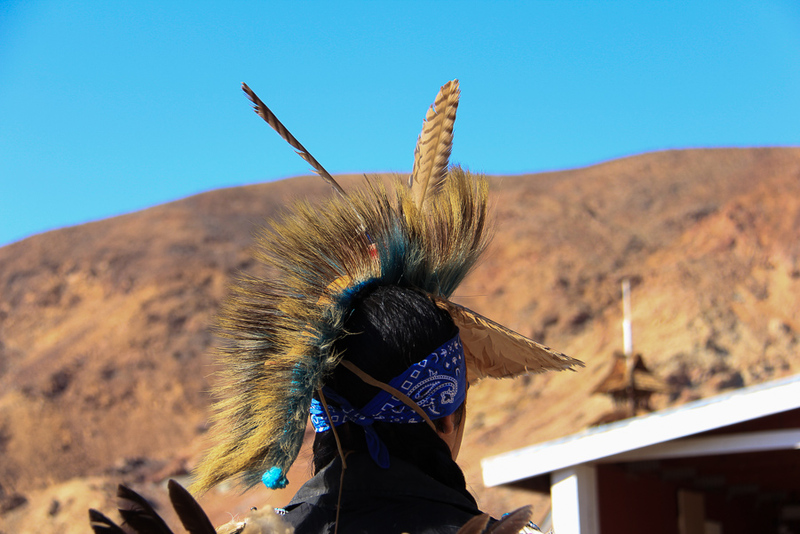 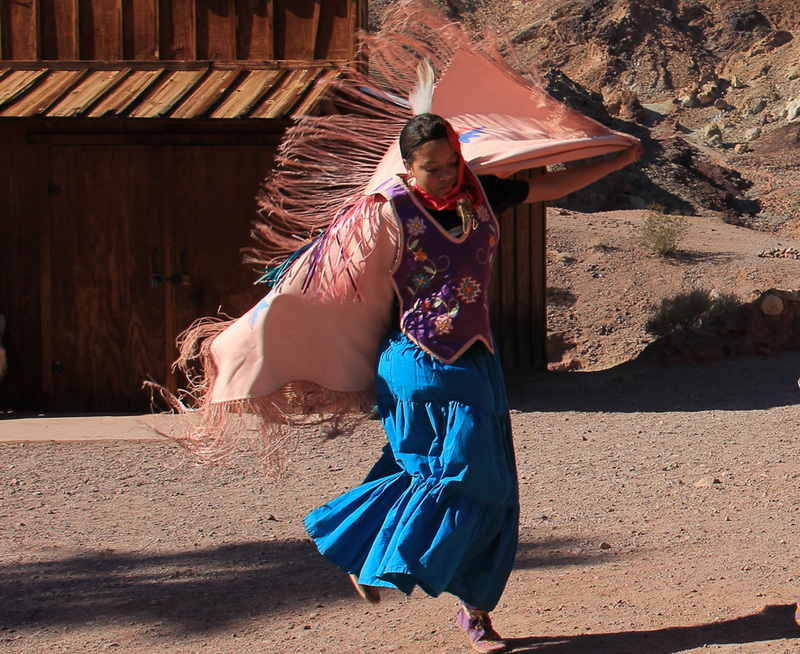 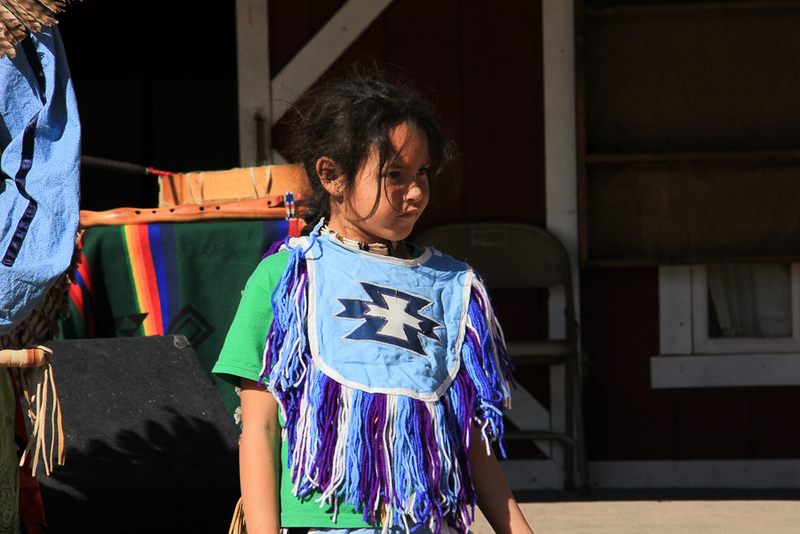 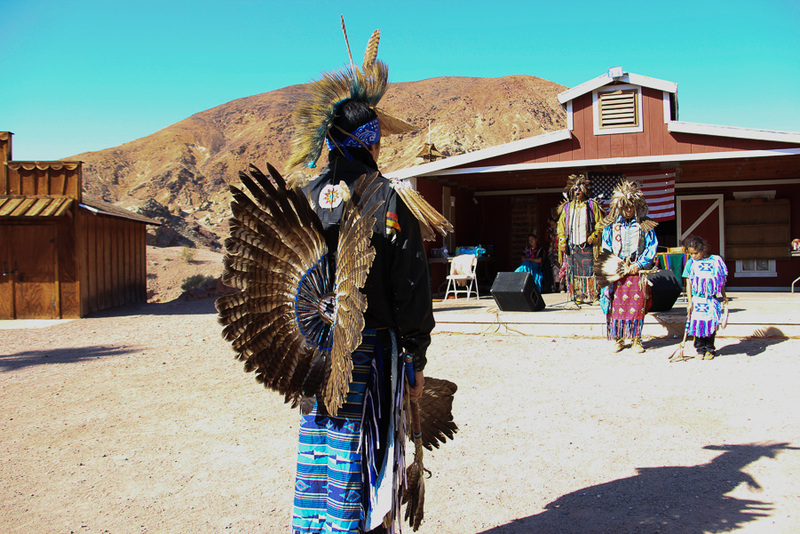 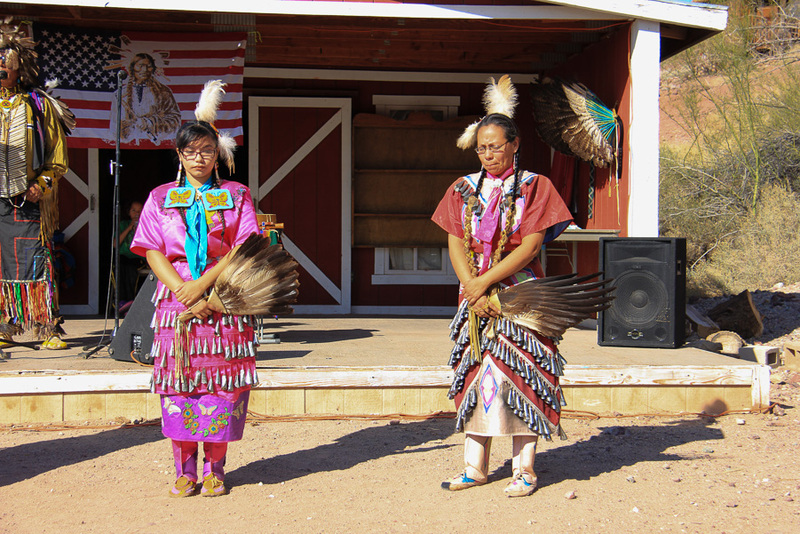 The highlight of our visit was to watch a performance by Native American dancers. 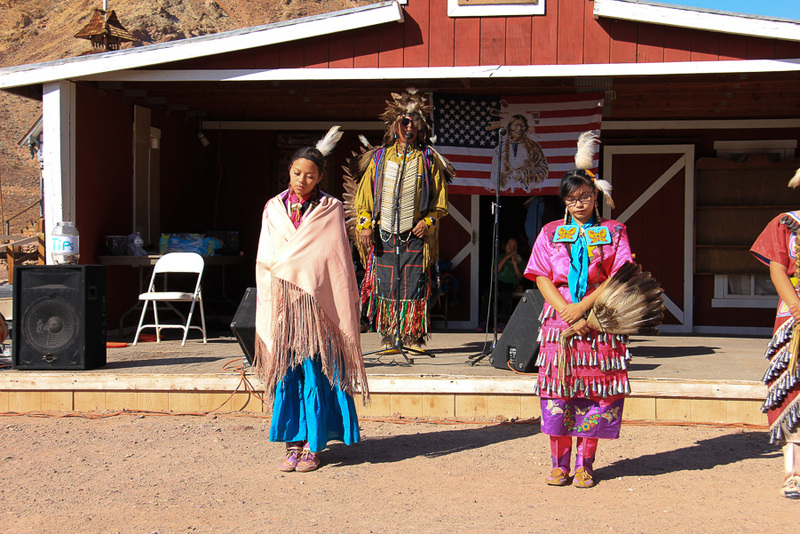 The performers were a family from Montana; husband, wife, three boys and two girls. 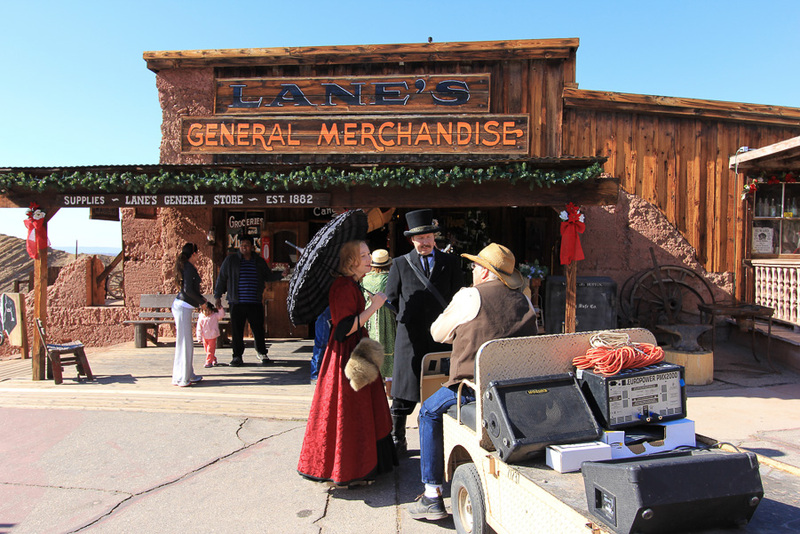 The show was great and they were especially nice people. 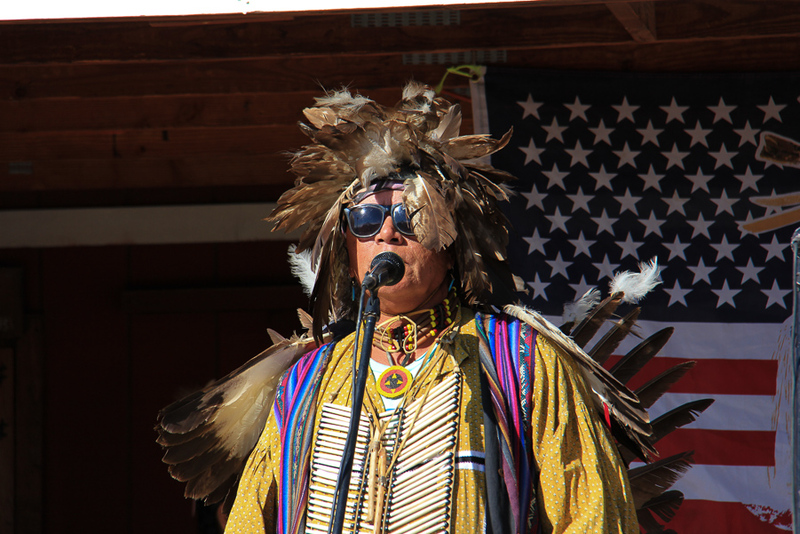 The father was the emcee who sang and told stories about each dance that was performed. 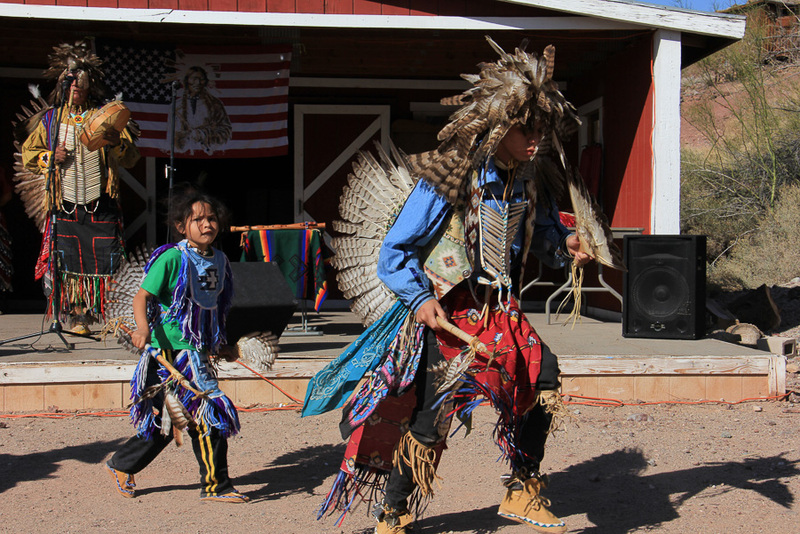 Everyone else in the family danced. 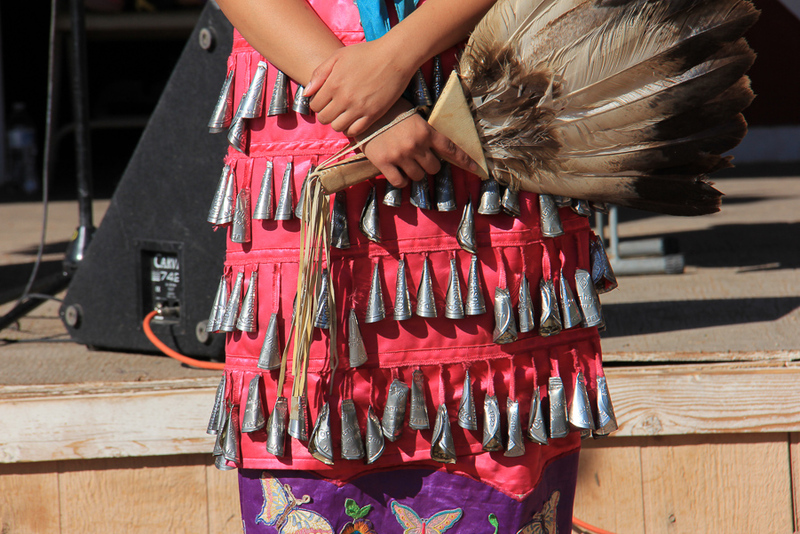 At the end of the performance, the audience was invited to join in the dance. 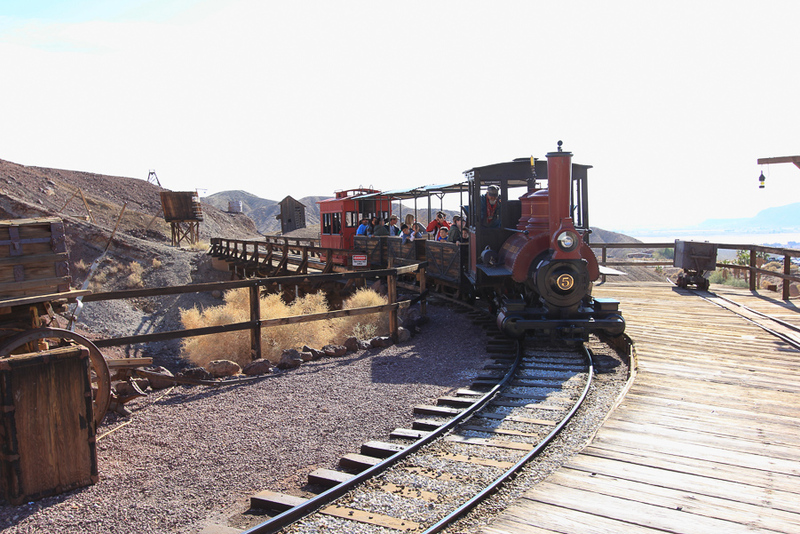 And we got to take another train ride, hooray! 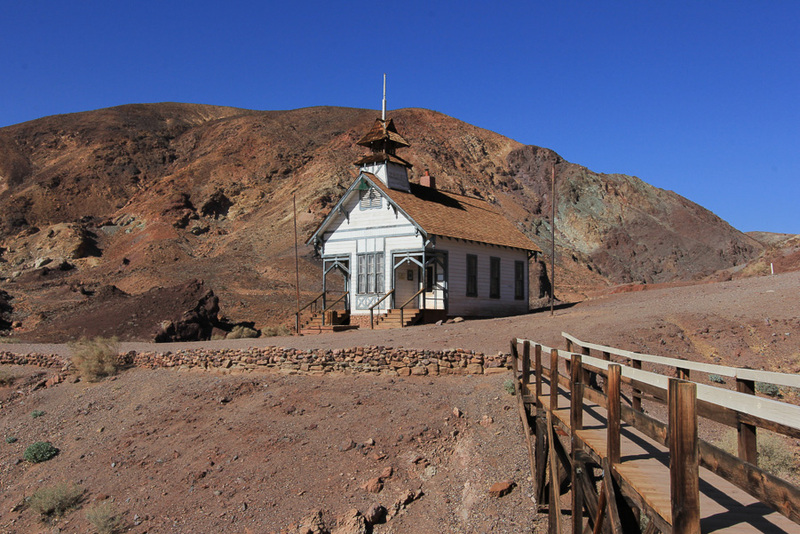 Even though it is a bit touristy, it still is very interesting to walk through the old buildings in this once thriving mining town. 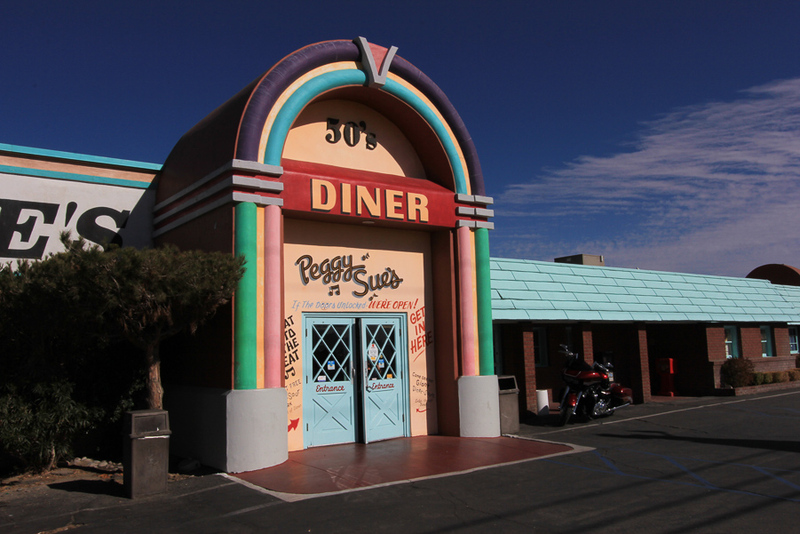 Before we toured the ghost town, we stopped to eat at Peggy Sue's 50's Diner in Yermo, which is about three miles south of Calico. 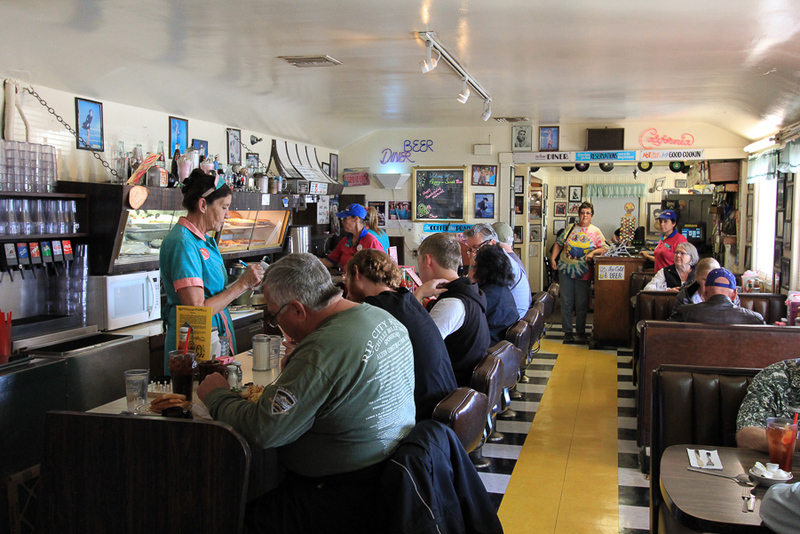 The breakfast was pretty standard fare, but this place really captures the feel of a 1950's diner with the music, the uniforms and the atmosphere. 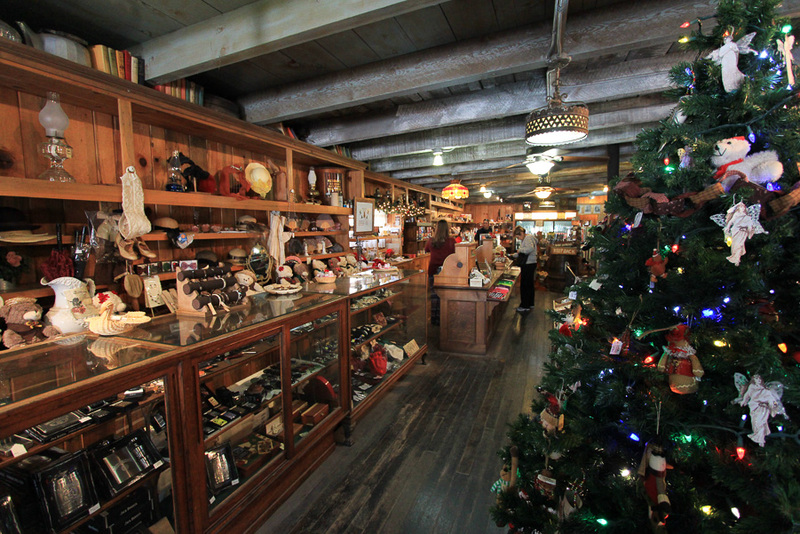 It's a fun place to eat.